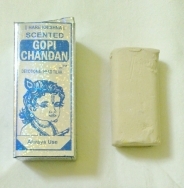 This type of incense holders is widely known and has been proven over many years. The incense holder is made of mahogany. The tilak is a mark worn on the forehead and other parts of the body for spiritual reasons. 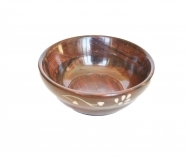 A bowl of mahogany wood, decorated with inlays. The bowl is available in 3 sizes. These metal bowls are decorated with floral, peacock, and -bird ornaments and painted with different colors. The Deluxe Incense Holder is made of mahogany wood. It has a slot for a incense sticks and a stand for Incense cones. There is also a compartment in which you can store incense sticks. This masala box can be used to store spices, jewelry or other things. It is made of Indian mahogany wood and decorated with beautiful ornaments. The interior is divided into 4 compartments. The box is available in 2 sizes. A book stand made ​​of Indian mahogany wood with hand-made ornaments and inlaid brass. The book stand is available in 2 sizes. 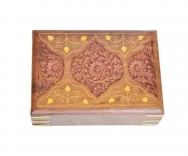 These boxes are made ​​from fine Indian mahogany, embellished with fine carvings and inlays of brass and inside is red velvet. This type of mahogany is produced on plantations in India and thus does not come from the deforestation of rainforests. The boxes are available in 2 sizes.